The most proven path to success in anything is to find someone who excels at their craft and then follow in their footsteps. Every industry has their heroes who have walked this path – Oprah Winfrey (TV), Michael Jackson (music), Kobe Bryant (basketball), Dave Ramsey (finance), Warren Buffet (investing), Bill Gates (business) – the list goes on and on. These people have paid the price it takes to succeed in terms of time, talent development, hard work, and determination. Songwriting is no different. Over the years, many songwriters have achieved elite status and penned some truly remarkable work that has influenced culture (and their wallets) dramatically. They are your songwriting role models to follow. By studying great songwriters and their songs, you’ll learn everything you need to know about what it takes to succeed in the music industry. By applying the principles that made their works successful, your lyrics, melodies, structure, production, arrangements and concepts will improve. While your best work may not be on par with theirs, your efforts to study the greats will at least elevate your work to the best it can be. The best of the best songwriters have mastered the art of melody. 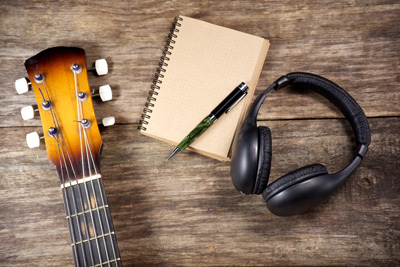 From chord progressions and creativity to jamming grooves and soulful sonnets, these 10 songs will give you a good start in studying unforgettable melodies. Lyrics can be cheesy and concocted, or they can flow with poetic flair. Some of the greatest songs take lyrics to a whole new level in terms of structure, rhyming patterns, word choice, and imagery. These 10 songs are just a few that raise the bar for what it means to write great lyrics. As you listen to these songs, take notes on what they do well. Print off their lyrics. Analyze your current songs and see what principles of great songs you are following and which ones you need to improve on. Lastly, apply the principles you learned from these great songs in all of your future work. Whether or not your songs end up being as good as these all-stars, over time you’ll raise your skill level and quality of workmanship to the best that you can be. Do all of your songs sound the same?